Attorney Eshigo P. Okasili founded her Burtonsville law firm, Law Office of Eshigo P. Okasili, LLC, with the goal of obtaining justice for those living in the Montgomery County, Maryland area. Our primary practice areas are family law and immigration law, and our law firm also assists clients with personal injury, professional malpractice and wrongful death cases, as well as employment law, education law, domestic violence and sexual abuse cases. We do not adopt the “one size fits all” approach to problem-solving. In many areas of the law, we are able to help our clients resolve their disputes through mediation and the collaborative process. We resolve some disputes by litigation, when it is absolutely necessary and in our clients’ best interests to do so. 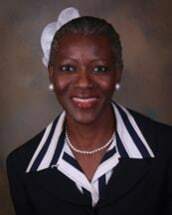 Ms. Okasili earned her Juris Doctor from William Mitchell College of Law in St. Paul, Minnesota and began practicing in Maryland upon admission to the Maryland State Bar Association in 2009. She is dedicated to providing legal services to people of all backgrounds and provides pro bono services to members of our local community who could not, otherwise, afford a lawyer. We can assist with all types of family law cases, including divorce, child custody disputes, prenuptial agreements and protective orders in domestic abuse cases. We also serve those seeking peace orders against their abusers. If you are facing deportation, you can count on Ms. Okasili to work to defend your right to stay in the United States. Immigration issues often intersect with family law, criminal law and employment law, and we draw on experience in all of these areas to work for the best possible solution for your particular situation. Regardless of your legal needs, the Law Office of Eshigo P. Okasili, LLC, provides client-centered legal services, from your first visit to the resolution of your issue. To help make our services available to all, we offer our clients a variety of fee and billing options (including but not limited to hourly fees, flat fees, scaled fees and fees for limited scope representation).